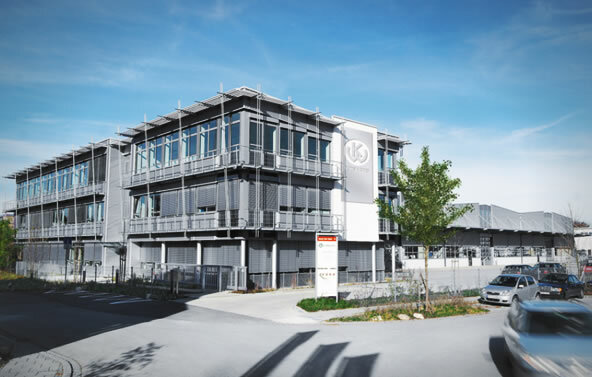 Our corporate headquarters with cutting-edge production halls and office buildings are located in Krailling, not far from Munich. 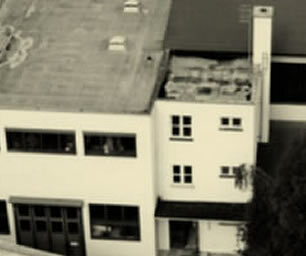 Here, on a site that spans around 10,000 square meters, our approximately 70 employees design and manufacture state-of-the-art electroplating units for gravure form production and develop highly efficient process technologies and customized solutions for system integration that are tailored precisely to our customers’ requirements. Our comprehensive portfolio is rounded off by high-performance measuring technology that provides highly accurate and reliable results. With our spirit of innovation and the resulting state-of-the-art products, we are the competence center for automation, electroplating, and process development in the Heliograph Group. Since our company was founded in 1906, the customer has been at the heart of things. Customer satisfaction is our top priority. This principle is underscored by pioneering product development combined with customer-specific requirements. The growing automation in form manufacture and its links with various departments are making processes increasingly complex. Our company is committed to making these processes easy and extremely efficient for our customers while also focusing on our role as a reliable, expert partner. 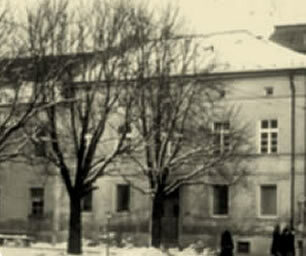 1906 Foundation by Kaspar Walter. This was the begin of a family-owned and -operated company for gravure cylinder making. Milestones in the company’s history include development of full immersion equipment or synchronously turning, grinding and polishing machines. 1978 K.Walter sets decisive market standards with the first automatic line. To this day, we remain a pioneer in this area with our modern system integration. 2000 The starting signal for our partnership with Johannes Bauer Logistik-Systeme GmbH & Co.KG in Hohenlockstedt – a specialist for transport and storage systems. 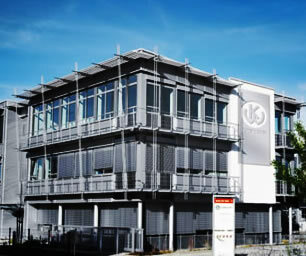 2001 Relocation of headquarters to Krailling (greater Munich area) for logistical reasons. Move into a newly constructed building the following year. 2002 K.Walter begins close cooperation with the renowned HELL Gravure Systems GmbH & Co.KGin Kiel – for the ultimate benefit of our customers. 2009 Peter Daetwyler (MDC Max Daetwyler Gruppe) and Max Rid (HELL Gravure Systems, K. Walter, Bauer Logistik) merge the areas of Development, Manufacturing, Sales, After Sales and Service and found the Heliograph Holding GmbH. This holding includes the new Daetwyler Graphics company as well as HELL Gravure Systems, K.Walter, Bauer Logistik, Schepers, Ohio Gravure Technologies (Daetwyler R&D Dayton) and their worldwide subsidiaries. Today and tomorrow, Our innovations in equipment and automation technology as well as our cooperation with all companies in the Heliograph Holding make us your competent partner for gravure cylinder making equipment.